Recently, WSL officially released that in the beginning of the next CT, the Corona Open J-Bay, which takes place in South Africa from 2 to 16 July, the live broadcast for the WCT (men's and women's) Big Wave Tour, QS10,000 and Pro Junior World Finals. will mark the definitive transition of the WSL broadcasts to the Facebook platform. According to WSL, there are many positive factors with this facebook partnership. WSL ensures that the level of quality of the broadcast will be the same, but in addition, all viewers will have access to more options that enhance the viewing experience, such as interactivity with viewers, simple mobile graphics, live chat optionsl and also the opportunity to check in the same platform the scores of the moment and the previous heats. For those who already follow the events through Facebook, once they get in the platform will be redirected to live streaming without having to take more steps. Other way you will need to register (or log in) with your email. 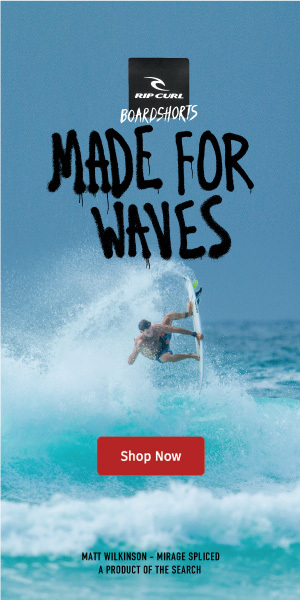 A) From the computer, browse worldsurfleague.com website and watch the WSL Live experience. 3) Once logged-in, do a search for "WSL Live"
2) Search for "WSL Live"
The partnership made by WSL and Facebook last year revealed some impressive numbers. Around 14 million people from all over the world watched the World Surf League on Facebook in 2017. The United States, Brazil and Mexico were the countries that had more people to watch. *WSL produces approximately 800 hours of live content annually, as well as other educational, cultural and historical content around the surf, which will now also be accessible on Facebook. This makes WSL and Surf, along with the NFL (American Football) and the NBA (Basketball), one of the three sports in the world with greater social engagement.